I guess it was according to the URL. did u draw some of them by hand? Well it took me a while to realize this was my graphics board and I almost never draw on my computer. BeastExe wrote: Mkay. Maybe I lied. Screw the contest I was holding. Finals are coming up. Besides, it seemed no one joined. Due to many requests of Frossi... I'll attempt to make another banner with frossi in it. I don't know, but it just doesn't seem to ... fit right in like a puzzle piece should. That, or it's too busy. Looks kinda funny, if you ask me. Rayquaza and Froslass in the same pic plz? And what type of funny? Strange funny? LOLROFLMAO funny? It's all blue and then there's froslass with the red. 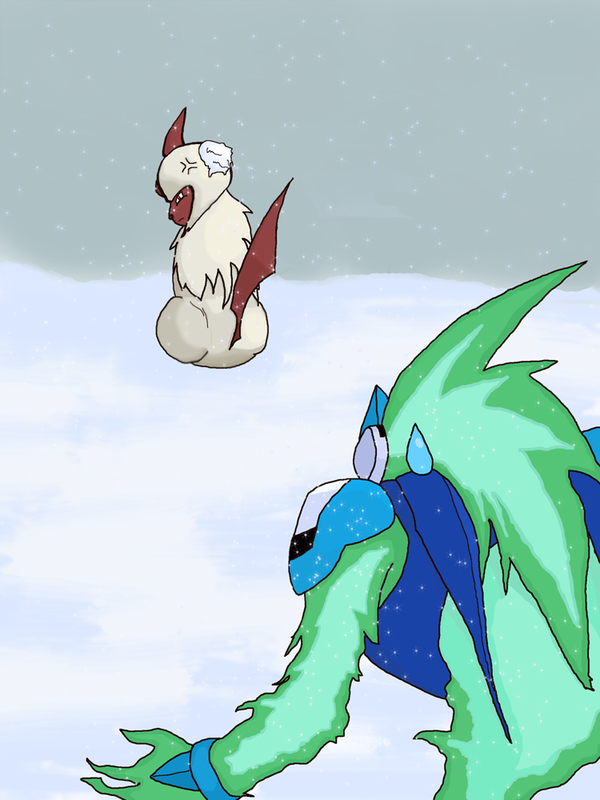 And just how you blended in froslass looks kinda weird on suicune and articuno. Agreed. It might look better if it was faded more... but the red is still strange. We may just want to stick with the current one. Now I just need a Christmas Kecleon...Rofl, Stantler are the Reindeer! !